Lieutenant Jessica Burris holds several accolades to her name. During her time in IUPUI’s ROTC program, she earned the Gold German Armed Forces Proficiency Badge, was presented with the George C. Marshall Award (the highest award a cadet can receive), and held the position of Cadet Battalion Commander for the entirety of her senior year. Burris’ dedication has always come naturally to her. 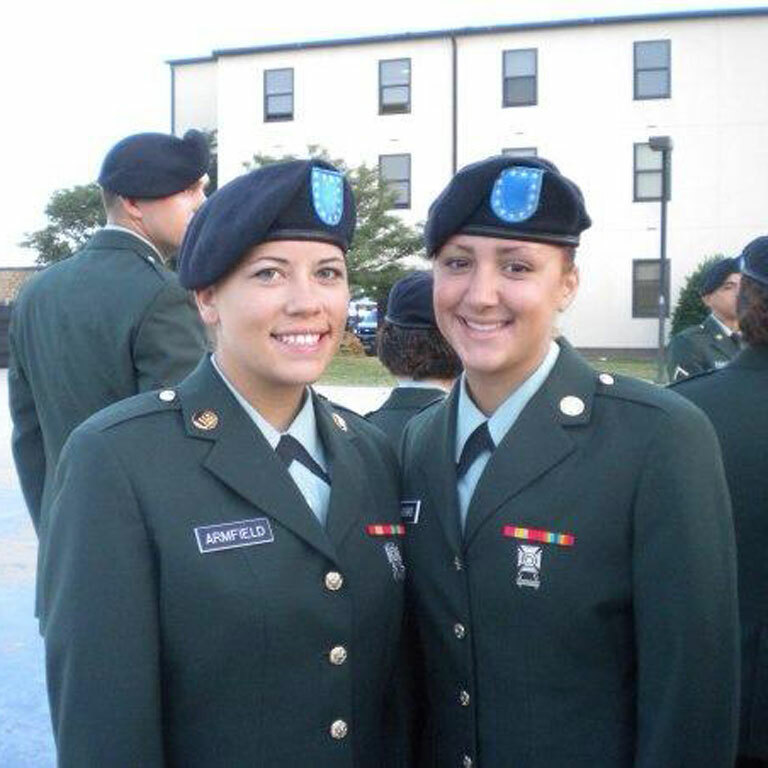 She enlisted in the Indiana Army National Guard out of high school. “I knew I wanted to become an officer right away,” she says. She joined the ROTC program during her freshman year after returning from Basic Training at Fort Jackson in South Carolina. Her military career has taken her beyond the borders of the United States. Burris completed a year-long tour in Kuwait as a Counterintelligence Company Executive Officer and is currently deployed to Afghanistan, providing intelligence support for special operations raids and targeting operations. No matter where she is, she always returns to the experiences she had at IUPUI. Burris interned with the Indianapolis Department of Homeland Security and she took classes on Global Terrorism, which led to her decision to pursue Military Intelligence.